With a congregation of some 130 adults and children attending Mass each Sunday, there are many significant events in the life of our parish. A few of the recent events are highlighted below. On Saturday 16th December an appreciative audience listened to, and partook in, this traditional service led by Canticorum. The singing was beautiful and the readings given by members of the congregation and members of other Tavistock churches. More than 50 people enjoyed the evening and then stayed afterwards for tea, coffee and mince pies. On Saturday 7th October parishioners gathered at the church to celebrate the harvest; with all proceeds raised to assist in the work of CAFOD. Some 40 people first enjoyed a short play by the First Communicants that described the help CAFOD gives to poor farmers, to help them to grow more and better crops. Then it was time for the meal, food and drink being provided by parishioners. On Saturday 18th March some 50 parishioners and friends attended a Lunch at the church. The event was organised by Hannah, the CAFOD representative for the Parish; all proceeds from Donations and the activities to be donated to CAFOD. Hannah was supported by a large team of volunteers, six wonderful homemade soups being the highlight of the meal. The Parish Youth Group were active, passing out food and helping to tidy up afterwards. Two parishioners (Maria and Graham) visited the Shrine of Our Lady; attending Mass given in English, one service lead by an Indian priest and the second by an Australian priest. They participated in the candlelight procession around the sanctuary, the event is shown on the Lourdes webcam every night. James, one of our younger parishioners, has been the parish CAFOD representative for the past few years. He has been very successful in bringing CAFOD closer to Tavistock parish and in raising funds. As a result, and having just graduated from University, James is now on a one year placement at the Lancaster branch of CAFOD. Part of his assignment will be to travel to Cambodia for 3-4 weeks to see projects supported by CAFOD’s partner organisations. In addition to working for and gaining his Geography Degree, James was presented with the Plymouth Award certificate for the hundreds of hours of volunteering work he did over the four years. The parish congratulate James on his achievements and wish him well for his future. On Saturday 23rd July Fr. John Greatbatch celebrated his 60th birthday, and his 5th year as Parish Priest. This joyous event commenced with Mass con-celebrated by Fr. John and his friends Fr. David Lashbrooke and Fr. Colin Furness. There were some 60 parishioners attending together with members of the Ordinariate parish of St. Austell. The congregation was pleased to welcome Assistant Curate Steve Martin of the parish church of St. Eustachius. Fr. John was presented with the gift from the parishioners of a Pilgrimage to Lourdes. Then followed a 'birthday' lunch, the food being provided by members of the congregation. On the 24th April five young parishioners were Confirmed by Bishop Mark O'Toole. It was a joyous occasion for the proud parents and the whole congregation. The service followed many weeks of preparation by the five young people, this culminating in the Retreat at Fowey in February. Mass was followed by a buffet when all could relax, pose for pictures, and talk with Bishop Mark. The pilgrimage to Lourdes took place late March when eight children were taken under the auspices of HCPT (Hosanna House & Children’s Pilgrimage Trust); James looking after a seven year old boy. The theme for the week was Thanks Be To God. Thanking God for the opportunity to change children’s lives. The week started with Mass on Easter Sunday with frequent visits to the Grotto across the week. The torchlight procession took place on the Tuesday evening and the Trust Mass took place on Thursday morning with over 5,000 people attending. Mass was celebrated by Cardinal Vincent Nicholls as it was HCPT's 60th Jubilee year. On Thursday 10th March the parish hosted a Lunch, with donations contributing to the parish commitment to CAFOD. More than 40 parishioners and visitors attended, with a shared lunch of bread and cheese provided by a dedicated group of volunteers. The event was hosted by James, Gill and Fr. John. On the day £266 was raised with a further £386 donated through the Family Fast Day the previous week. 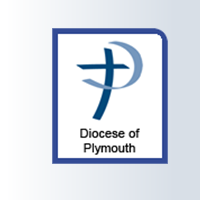 During the weekend of 26th to 28th February five Candidates spent the weekend at Fowey; in preparation for receiving the Sacrament of Confirmation. The five young parishioners were accompanied by Fr. John, Gill and Monica. There were three elements to the Retreat. The first was to have an awareness of self; relationship with God and other people. Then followed Reconciliation to God, self and other people. The final part was Rejoicing in the Holy Spirit. The five prepared their own Mass, celebrated by Fr. John. They practiced the hymns they chose themselves, and wrote the Bidding Prayers. In between there were physical activities including an early morning walk and the next day a long walk alongside the sea. On the 3rd October the annual parish Harvest Supper was held, and for the first time the event took place in our church. In addition to celebrating the fruits of the harvest, the focus of the Supper was the work of CAFOD in Africa. Some 50 parishioners joined together for a wonderful evening; all the food (the main meal and the desert) was provided by parishioners. Ailsa brought her home-baked Harvest Loaf, a lovely sheath of corn complete with harvest mouse. We were fortunate to be joined at our meal by Simon Giarchi, Regional coordinator for CAFOD and he was accompanied by Michel, CAFOD's agent working in Niger. After the meal Michel gave a short talk, accompanied by slides, describing some of the activities he was undertaking. The first of six pictures shows Simon, Michel and Fr. John; with Michel flanked by Gill and James, the parish representative for CAFOD. The Harvest Supper and the CAFOD family fast day together raised more than £800 - a magnificent sum of money. 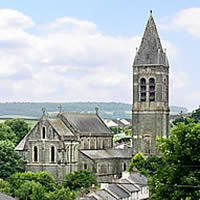 Come September each year, the parish participates in the countrywide Heritage Open Day. Buildings of note throughout the country are open for visitors and their presence is listed on the Heritage website. On Sunday 14th December Canoryon Lowen, accompanied by the Liskeard Chamber Ensemble, presented an evening of Christmas Carols and music by Haydn. Canoryon Lowen gave a performance of Midwinter Cantata, a composition by Nick Hart. The excellent acoustics of our church enabled the wonderful sounds to be appreciated to the full. A wonderful evening, full of enjoyment. Every year on four days in September, buildings of every age, style and function throw open their doors. It is a once-a-year chance to discover architectural treasures and enjoy a wide range of tours. This year Tavistock focused on the Dukes of Bedford and selected four iconic building. One such building was our church, built by the Duke of Bedford for the miners who worked in the Great Consoles copper mines. Many people, not only from Tavistock, enjoyed their visit, made memorable by members of the Youth Group who shephered them around. The picture to the right is of the church in 1880, not long after it was constructed. On Friday 20th December at 7:30 pm the two choirs of Canticorum and Canoryon Lowen presented an evening of Christmas Carols and Readings. Canoryon Lowen gave a performance of Midwinter Cantata, a new composition by Nick Hart. This year CAFOD had a high profile in the Parish, thanks to the organisation and hard work by James and Chris; the Parish representatives. Saturday 28th September some 40 parishioners from the three communities of St Austell, Callington and Tavistock gathered at the Church of Our Lady Of Victories for the Supper. Ailsa and her Team had prepared an excellent supper, with parishioners all contributing plates, and Ailsa herself preparing the Harvest Loaf. Donations were made to the Callington Food Bank. A high point of the evening was Fr John's famous Quiz! Eight members of the parish were Confirmed by Bishop Christopher; who celebrated Mass on this, Ascension Sunday. It was a most joyous occasion; a fitting climax to eight months of preparation. In addition to the formal structure of Confirmation, the young parishioners read, mimed and sang their committment to the faith. Pilgrimage to Lourdes. Two of our younger parishioners, Dave Dadongong and James Ronan, went for eight days in a group organised by HCPT. Each had been assigned to support a disabled child; and had previously met them to establish a rapport. First, however, they raised the money to pay for the cost of the pilgrimage. So successful were they, and so supportive were parishioers and others, enough money was raised for there to be some remaining to start a fund for next year's pilgrimage. Flores de Mayo is an annual and traditional religious Filipino festival celebrated throughout the Philippines during the month of May in honour of the Blessed Virgin Mary. Santacruzan depicts the searching and finding of the Holy Cross by Empress Helena. This year these festivals were held in Plymouth on Sunday 6th May. This was a wonderful day and the Mass in the Cathedral a reminder of the cultural and international wealth of the Catholic church. The organisers would like to thank all those parishioners who supported it and those who gave so much of their time to make is a success. World Youth Day is a youth-oriented Catholic Church event and whilst the event itself celebrates the Catholic faith, the invitation to attend extends to all youth, regardless of religious convictions. WYD is celebrated every two to three years at different locations; and this year the venue was Madrid and it is estimated that some two million attended the week long celebrations. The most emphasized and well known traditional theme is the unity and presence of numerous different cultures. Flags and other national declarations are displayed amongst people to show their attendance at the events and proclaim their own themes of Catholicism. Such is usually done through chants and singing of other national songs involving a Catholic theme. Through its "Heritage at Risk" programme English Heritage recognises that congregations have a crucial role to play in looking after places of worship. We are pleased to say that for 2010 the winning place for the South West Region was the church of Our Lady and St Mary Magdalen. In June of that year , the South West Regional Director, Andrew Vines came to our church to present the award; in the presence of parishioners and the Mayor of Tavistock. The Festival of Santo Nino took place on the 17th January. The Sinulog is an annual festival held on the third Sunday of January in Cebu City, Philippines. The festival honours the Child Jesus, known as the Santo Nino (Holy Child), who is patron of the city of Cebu. This event had special significance for Filipinos living in the Plymouth diocese. The Festival commenced with a procession, which demonstrates the history of Christianity coming to the Philippines, and started from the town centre and finished at the Church, the procession being met by Bishop Christopher who was the Chief Celebrant at the Mass which followed.